← What Makes an Effective Medical Director? Nowadays, we know that careers in the healthcare industry are much in demand. Hospitals and medical-related agencies are competing to get the most qualified workers. Unknown to all, healthcare professionals are not the same and equal. The more exposed they are to various medical fields, the more knowledgeable and efficient they get. Formal education in schools provides guiding principles to help in achieving a professional career and license. That is the reason why nurses, doctors, caregivers, and many other members of the medical and allied team take advantage of the experiences earned during their first job. These experiences and exposures serve as a stepping stone towards something bigger. Well-experienced healthcare workers have specifications with regard to the type of employers that they are looking for. Technology advancement, the reputation, the work management and lastly, the pay. They work as a team. They seek the feeling of acceptance and sense of belonging in a professional environment. There are a lot of medical staffing placement agencies in the market who promises the most fitting offers to job seekers. But how will you know that it really is the best? What healthcare workers are looking for. Training- Continuous education in their field of expertise is a way of empowering employees. Employers need to guarantee that they are concerned with their employee’s intellectual growth. Intellectual gains are something that they can use in their current role or future endeavors. Convenience-It is not just the location or distance of the working area. It is also the accessibility of the job itself. Are you equipped with the latest technology to aid you in your job? Is the technology in the work area working towards the betterment of your patients? These are questions that you need to ask yourself to gauge the effectuality of the service that you are providing. Pay-It is a great motivator when looking for a job. The amount is not just the only factor, it should also be consistent and timely. Choosing the right employer is a very huge decision that every job seeker have to go through prior to success. Nursing on Demand, Inc. is a Medical and Health Staffing Recruitment Agency. We don’t just hire healthcare professionals, we give them a career. 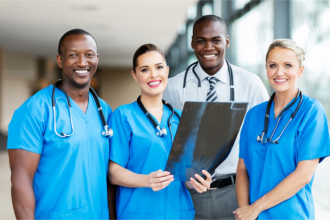 Our Nurse Staffing Agency in Jacksonville FL bridges the gap between experienced and skilled members of the healthcare and allied team and the institutions that need their expertise. Do you find this post helpful? Please share this in your timeline and let your family and friends know! This entry was posted in Nurse Staffing Agency and tagged Health Industry, Medical Staffing, Workers Empowerment. Bookmark the permalink.